HR | EVALUATION & APPRAISAL | Synconics Technologies Pvt. Ltd. Strengthen your company's key asset: employees. 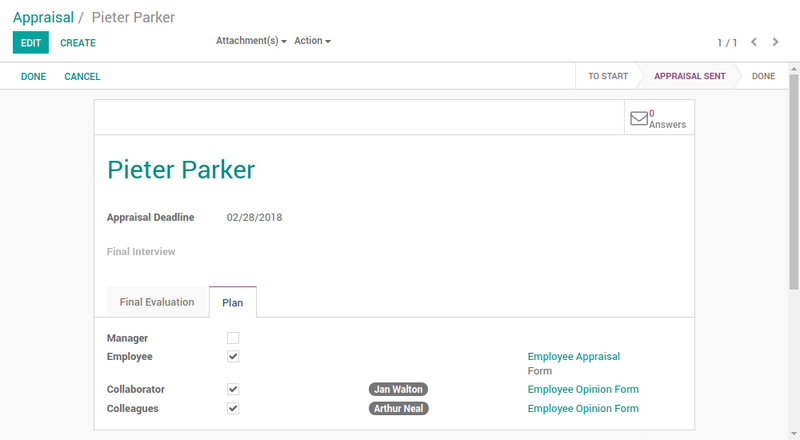 Create appraisal plans: Setup several plans for each department. Create different phases and add custom actions and forms to organize your appraisals the right way. 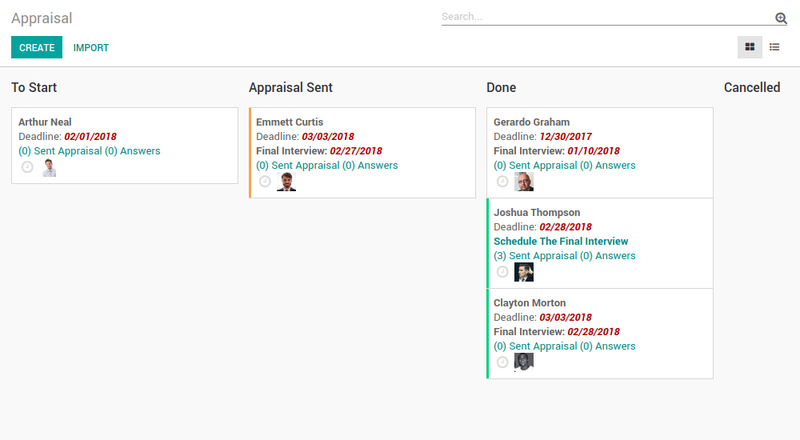 Sort appraisals: Filter and sort appraisals by employee, status, deadline, appreciation and plan name to get a clear overview of evaluations. 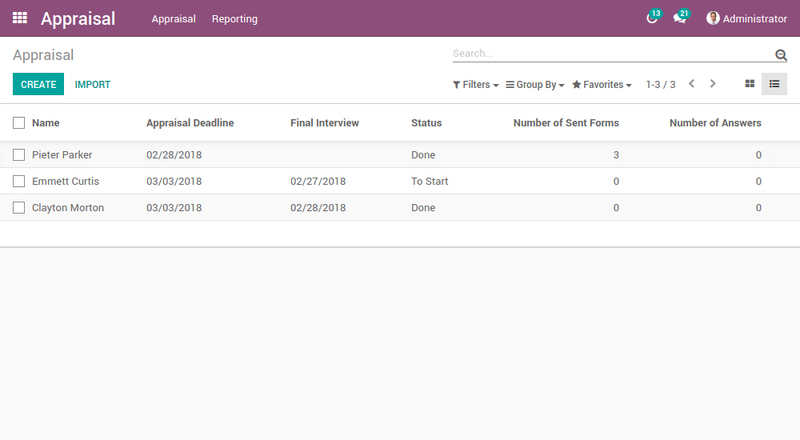 Organize interviews: Easily configure who should receive a form. Define & select forms per roles. Manage evaluation schedule with stages. 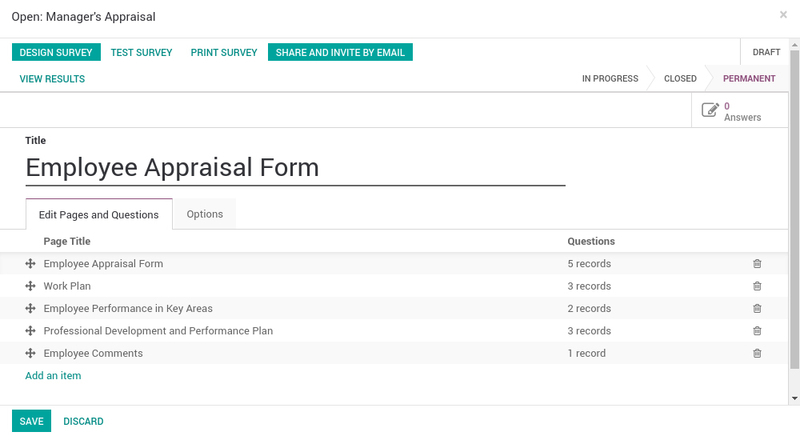 Request interviews for specific stages of your appraisal plan and for each employee. Track interviews and setup reminders in the calendar view. Create surveys: Create your own surveys to gather important information and/or opinions from your employees. Quickly add questions, edit pages and draft a useful survey, using great built-in templates or making your own design from scratch. Turn existing surveys into templates to use and modify them later. Proof your surveys before publishing them: get them reviewed by managers, supervisors or other employees and let them add comments before finalizing the surveys. You can even create several surveys for each evaluation step to send them to different people. Design surveys: Use existing templates to quickly create surveys or design your own surveys from scratch. Create multiple surveys for each step of the evaluation process. Create templates: Turn existing surveys into template to easily use them again or customize existing ones. Test surveys: Proof your surveys with colleagues and/or manager before sending them out to other employees. Ask for comments and reviews to perfect the content. Export answers: Turn any evaluation filled by employees into a PDF form that can then be printed instantly. Clearly see the appraisal status for each employee or for the whole company. Keep track of upcoming evaluations and send reminders to respondents. 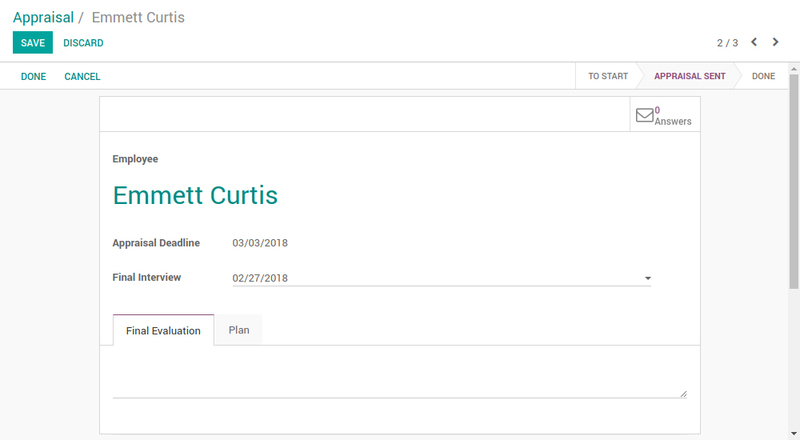 Allow ERP to automatically send emails and requests for evaluation to each employee according to the schedule that was setup in the evaluation plan.